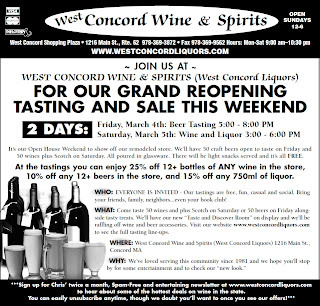 Join us for this free tasting event. Beer and food will also be available for tasting. Special in-store pricing on the day of the event. Sandwiched between the heralded 2005 and 2009 Bordeaux vintages lie three years I've bought very little of. Not so much because they're not good, but just because there's been so much positive hype about the '05s and '09s. A guy only has some much attention to devote to a region. Vintage variation is a tricky thing for me on a number of levels. More experienced folks will tell you it's not a matter of good and bad - it's more a matter of appreciating vintage variation. Further, the way Bordeaux is priced, better vintages fetch higher prices. This is different than domestic wines and different from most regions. 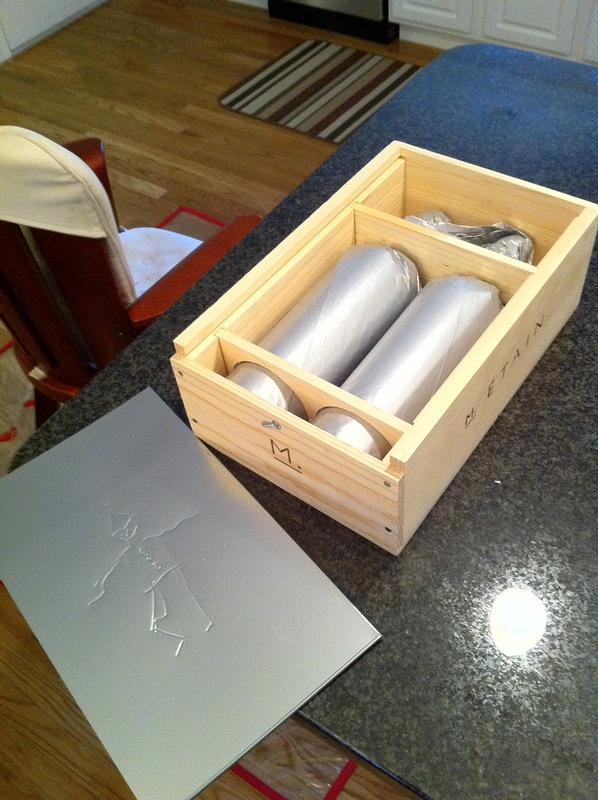 This presents an opportunity to pick up wines from quality producers in "off" vintages at a good price. Bordeaux is a tricky thing to publicize and market. In one sense it's the noblest of wine regions, but in another I rarely find myself with a taste for Bordeaux on a weeknight - or even a weekend night for that matter. It's this quirky quandary - brand recognition many regions wish they had yet too fancy for many occasions and relegated to high holidays. Too much tradition for its own good? Below high flying names costing $50 and up are Bordeaux Superieur wines costing $20 or less. As part of an live online tasting through TasteLive, Planet Bordeaux offered up five 2006-2008 Bordeaux to wine bloggers across the United States to get together online and concurrently share their thoughts. 100% Merlot from old vines. Light magenta. Cherries and earth on the nose. A little Leuden's cough drop action. Earth too with undeniable Bordeaux markings. On first sip I get a twinge of acidity in my cheeks and even my ears. Comes together really nicely. Well balanced. Great start. On the nose I get burnt earth, cocoa, some fruit. Grippy tannins. Surprisingly hot for only 13.5%. Needs some time to settle down, but still a pretty nice wine. Tightly wound with tart cherry fruit and harsh tannins. Should improve with time but for now it's one of the more challenging wines in the lineup. 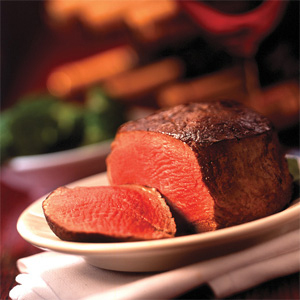 Medium-full bodied with a really enticing nose. A nice combination of fruity and savory components. Velvety mouthfeel. Low-medium acidity. Doesn't beg for food the way the others do but I think it's versatile enough to play well in a lot of settings. My wine of the night. Made in a soft, easy drinking style. Limited aromatically. 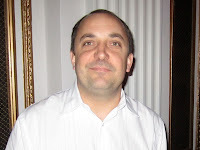 My thanks to the folks from Planet Bordeaux for supporting wine bloggers with this tasting! What started off as a chance to taste small production 2007 Napa Cabs turned into an intriguing game of "guess which one is from Washington?" at a recent blind tasting. Fellow Boston-area wine blogger Adam Japko (Wine-Zag.com) lined up 6 2007 Cabernet Sauvignons from Napa Valley ranging from $30 to $125 then added a twist: Two of the wines mixed into the lineup were from Washington State. 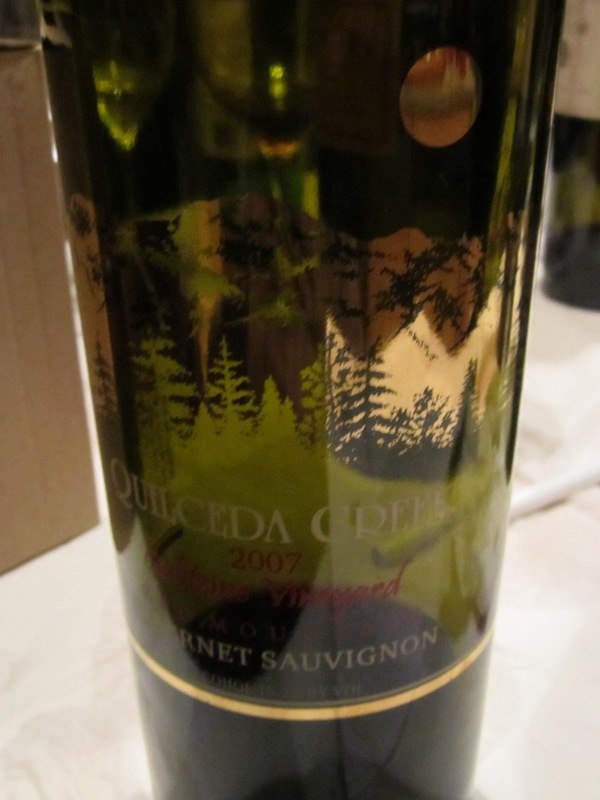 The Washington vs. California angle wasn't so much the story as the specific wines he chose to throw into the mix: The $125 2007 Quilceda Creek Galatzine Vineyard Cabernet (97 Wine Advocate) and a $10 wine you can find in any supermarket in America: The 2007 Columbia Crest Grand Estates Cabernet. The results might surprise you...read on. The evening started off with a tasting of older Stony Hill Chardonnays: 1990, 1991, 1993, and 1997. These wines weren't my favorites - they were kind of just "there" at best and in one case they took on spirit-like flavors (the 1991). I thought the 1997 was slightly corked. Overall, I was reminded of a recent Tweet from Garagiste: "alcohol never dissipates- fruit does". These wines were at a reasonable 13% - how will wines north of 15% fare in 20 years? Not so well I think. We tasted the Cabernets in two flights of 4. For whatever reason I liked the wines from the first flight a lot more than the second. Most tannic of the first flight. 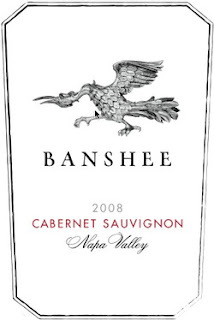 A big wine with a delicious Napa Cab flavor profile of blackberries, black currant, and some savory notes. Great now but will get better as the tannins integrate. I guessed this was the Realm for whatever reason but I was mistaken. This wine was also the crowd favorite. Herbaceous eucalyptus and bell pepper notes. Powerful with gritty tannins. Long finish.Very high quality, but not my style. 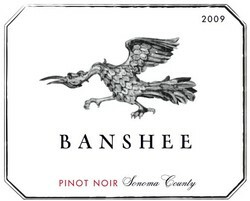 The crowd voted this wine 5th place out of 8 - a surprisingly low showing for a $125 wine rated 97 points. Slightly sweet fruit. Some pleasant coconut aromas. Smooth. Quite nice. Drinking nicely for such a young wine. A delicious and flavorful fruit-forward single-note kind of wine. Is this the Columbia Crest? No, it wasn't the Columbia Crest - though others thought it might be too. Closed nose. Awkward, but I can see this one improving with time. Caught some acetone aromas perhaps? Grippy. Kind of bitter. Very tannic. Hot. A pretty poor showing for a $125 wine. Meaty. Smells like a ball park hot dog, and a bit like spoiled produce behind a grocery store. Smoky. Lots of grip. Drying tannins. Finished 2nd amongst the crowd. Flat, bitter, rough. Caramel. Smells like a wood shop. 3rd place amongst the crowd which is quite an accomplishment considering it sells for 90% less than the top wines in the tasting and a-third the most affordable wine. I'm a big fan of Napa Cab and I've had some good experiences with the vintage so far. But trying to guess which wine was the famous Quilceda Creek and which was the lowly Grand Estates was so much fun - it stole the show! I was surprised how well the Columbia Crest did with the crowd as well as how little I thought of it personally - I've really enjoyed that wine in prior vintages. The Columbia Crest Grand Estate Cab and Merlot (along with their next-level-up H3 bottling) are my go-to grocery store recommendations. I'm still a fan - just not of this bottle on this night. It was a treat trying the Quilceda Creek. 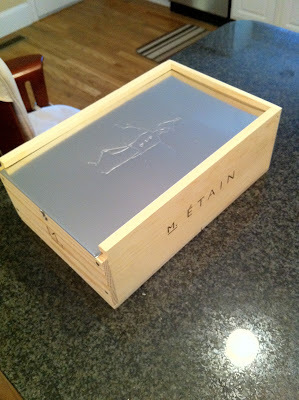 I've heard so much about their wines, and although I'd never tasted it before I wasn't surprised which it was. The quality was undeniable even if its flavor profile didn't align with what I'm looking for in a domestic Cab. Almost all of these wines will benefit from bottle age, but it's fun checking out wines when they're more readily available. Stanton, my top pick and the crowd favorite as well, doesn't seem to be widely distributed at retail. Here's a link to their website if you're interested in checking them out. I was surprised and kind of bummed the Realm didn't show better for me. That was one of the few producers I'd heard of before and I was looking forward to trying it. Others liked it so maybe I was off my game after the intermission. Oh well - I guess I saved myself $95 tasting it instead of buying a bottle. 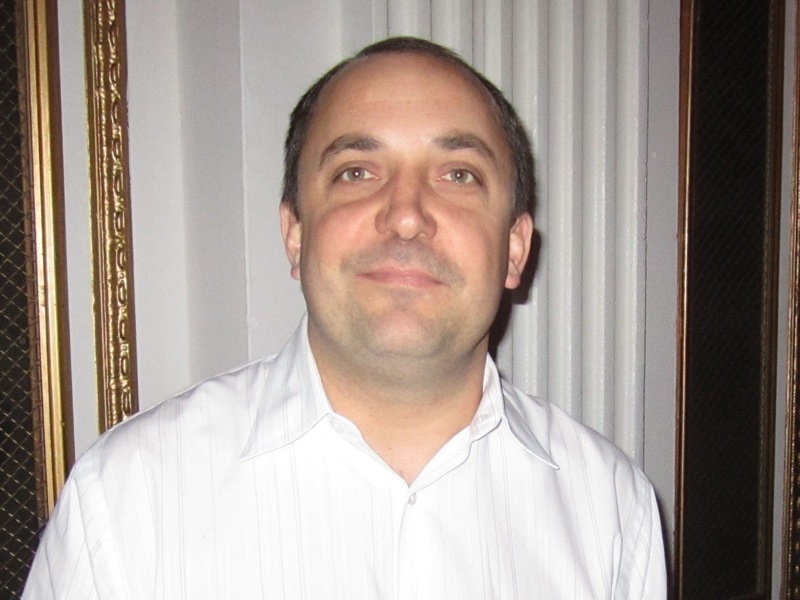 Adam puts on great tastings - my thanks to him for hosting me and others at this event. He's such a generous, kind, and wide open kind of guy. Definitely check out his wine blog when you have a chance - especially his piece that focuses on the Stony Hill Chardonnays at this tasting. Question of the Day: Have you had any of these wines? If so what do you think of these results? If not, what are some of your recent discoveries in Napa or Washington Cab? 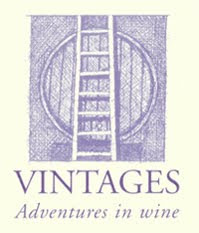 Vintages - Adventures in Wine is having a free tasting of Cantina del Pino Barbaresco Friday March 11th from 4-7 pm at their Belmont, MA location -and- Saturday March 12th from 1-5 pm at their Concord, MA location. 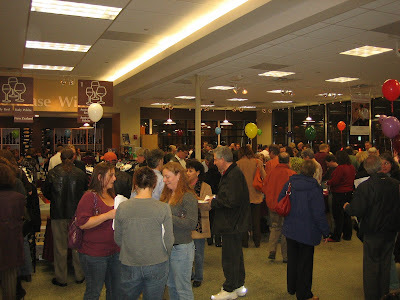 The tasting will feature the 2006 Cantina del Pino Albesani, Ovello, and their regular Barbaresco at special pricing. There will also be some Grand Cru Chablis at the tasting as well. 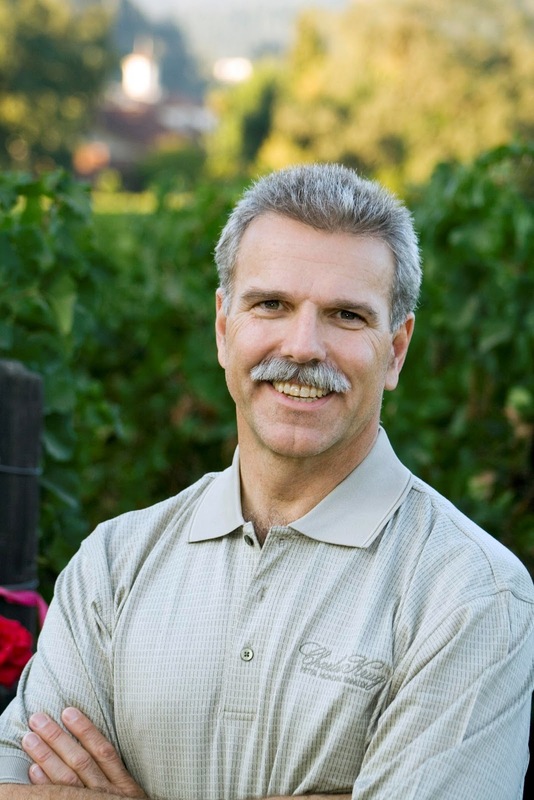 Owner Eric Broege's passion for Piedmont borders on an obsession and his knowledge of the region is invaluable for those trying to find their way to value. Highly recommended. PS: Don't forget to support direct shipment of wine to Massachusetts by sending an E-mail to your state representative encouraging them to Free the Grapes! 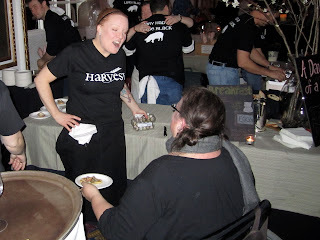 Cochon 555 - a national culinary competition promoting heritage breed pigs - came to Boston January 30th, 2011. The event challenges five local chefs to prepare a three course meal for attendees who then vote to determine which will advance to the Food & Wine Classic in Aspen to compete against winners from the other ten cities where Cochon 555 is held. If you're a fan of Top Chef the format felt very similar to the challenges contestants go through each week where they need to prepare food for a large audience within a challenging set of constraints. 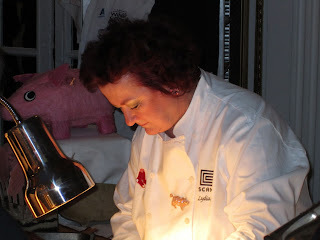 The event is all about pork, but for me it was all about the wine. 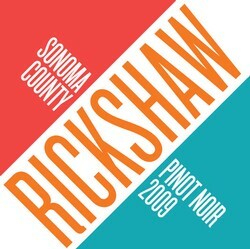 I enjoyed the mix of top-flight wines from family owned wineries pouring mostly domestic Pinot Noir. 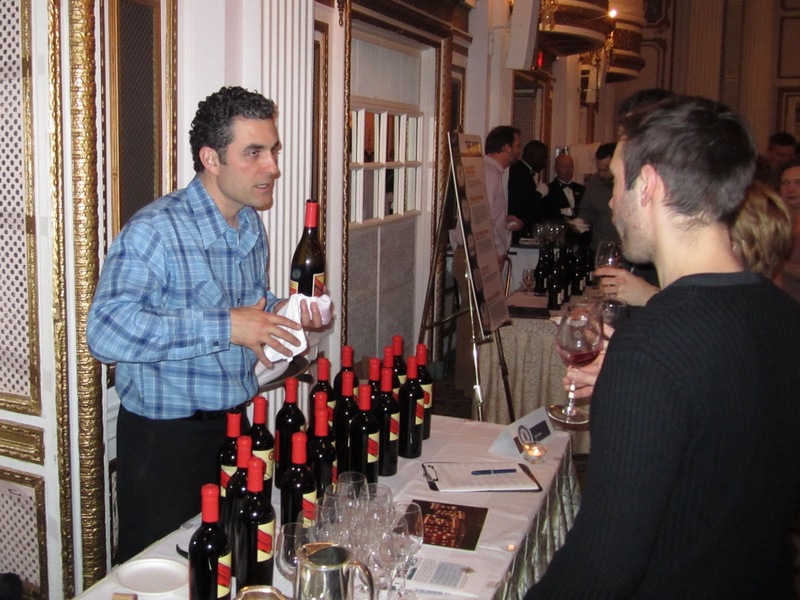 Because the primary focus was on food, the lines at the wine tables were relatively short which provided an excellent opportunity to get to know the winery reps present at the event. 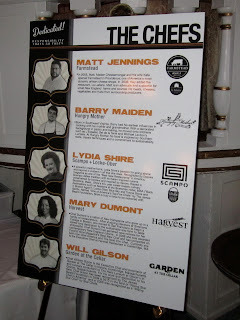 The 2011 Boston event was held at the Fairmont Copley Hotel. A VIP hour kicked off the event with something for everyone. Beer, sustainable oysters, artisan cheeses, bacon-themed appetizers, and an impressive selection of wines from West Sonoma Coast Vintners Peay, Freeman, Red Car, Ramey, Boheme, Martinelli, Freestone, and Littorai. 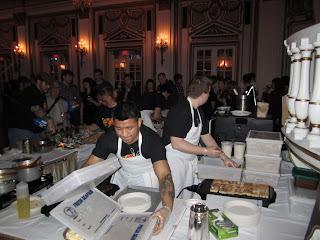 As the chefs were preparing, plating, and serving their dishes I made my way around to the wine tables. 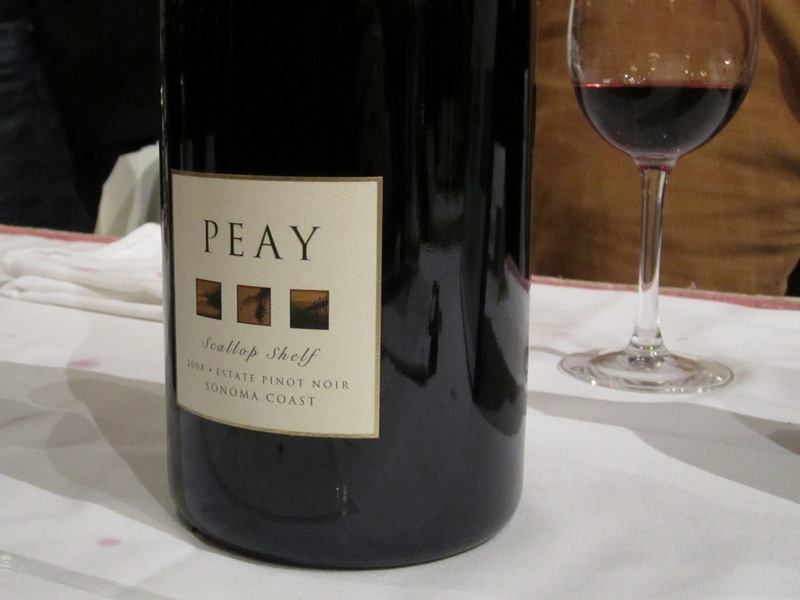 I've been having a hard time finding value from the highly-regarded 2008 Oregon Pinot Noir vintage. The event provides an opportunity to taste higher end bottlings from well regarded producers so I was excited to see what was in store. First stop: Elk Cove. 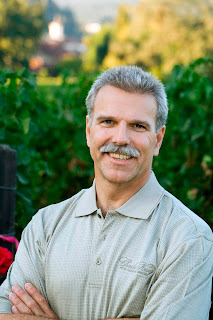 I enjoyed talking with Elk Cove's Sales Manager Craig Hedstrom as he described each of their wines. We started off with a couple whites - a Pinot Blanc and a Pinot Gris. 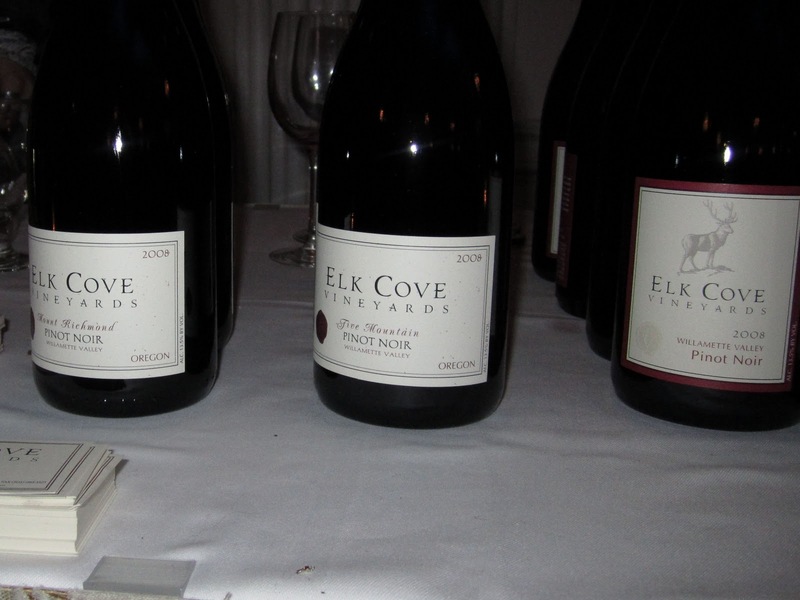 The 2009 Elk Cove Pinot Gris really caught my attention. 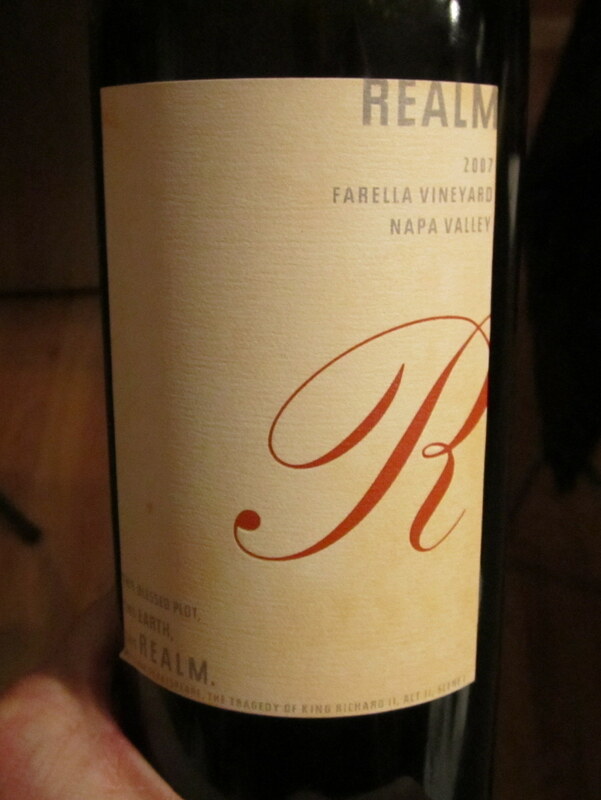 I've had this wine in prior vintages and it felt a little lean but this 09 was impressive. More luscious and generous but balanced nicely with acidity. Crisp and clean yet round and delicious. Then we tasted through their 2008 Pinot Noirs. The 2008 Willamette Valley, the Mount Richmond, and the Five Mountains. The Willamette Valley sells for around $25 here in Massachusetts and the single vineyards sell for $40 and up. For immediate consumption, I think the 2008 Elk Cove Willamette Valley Pinot Noir is the value play. It's one of the few entry-level 2008 Oregon Pinot Noirs I'd call outstanding and it's been reliably delicious across multiple bottles. It's one of those wines that no matter how many bottles I buy I know I'll run out of them in a year or two. The single vineyard wines are great, but they're expensive and I think they need bottle age to show their stuff. Next stop was Sokol Blosser. 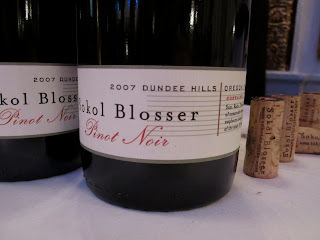 They were pouring their 2007 Sokol Blosser Dundee Hills Pinot Noir which sells for around $38. 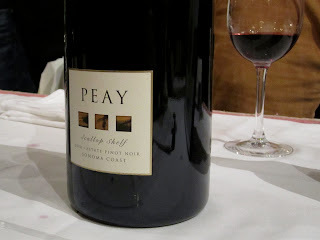 2007 wasn't a well-regarded vintage for Oregon Pinot Noir but this wine was one of my favorites of the entire evening. I thought it was vibrant with elegant, focused flavors. Nice acidity and no green/stemmy aromas or flavors to distract from the fruit. Wow. 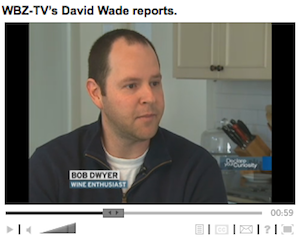 Hard to find in Massachusetts but I'll keep my eye out for this wine for sure. I took a little break from the wine tasting and checked out the food. The Harvest table was serving one of the more unique things I've ever tasted: Bacon cotton candy. Just as I was wondering how they injected bacon flavor into cotton candy I realized - the cotton candy was wrapped around a stick of bacon! It was actually a pretty pleasing combination of sweet and savory. The day after the event I had lunch at Scampo with Paul Sequeria from Red Car Wine Co. 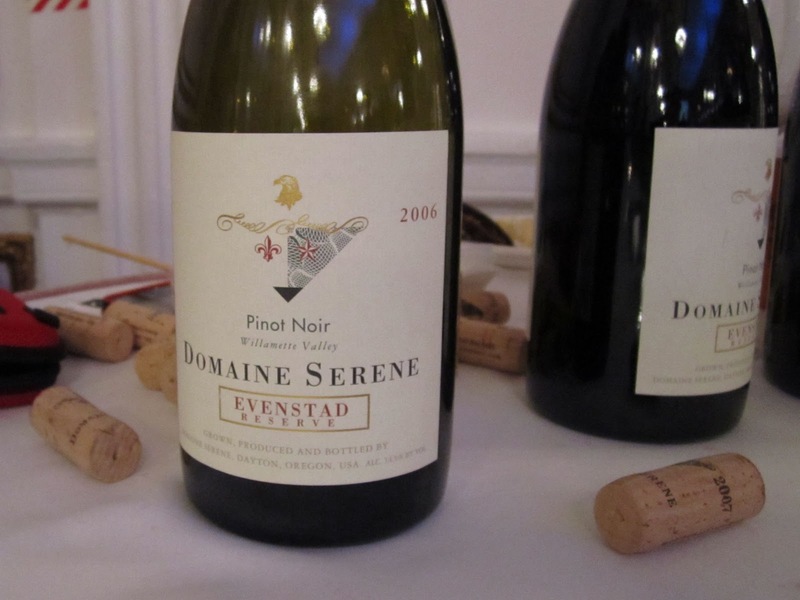 I learned of the event from the Red Car Facebook Page and the 2007 Red Car Heaven & Earth La Boheme Pinot Noir was one of the best Pinot Noirs I've ever tasted. 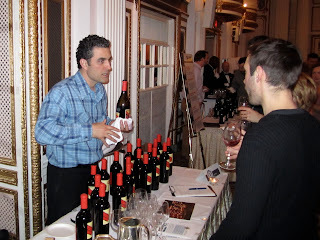 At the event Paul was pouring the 2007 Red Car Tomorrowland Syrah and the 2009 Trolley Pinot Noir. Both were showing nicely. More on Red Car in a future blog post for sure. Subscribe to the WWP so we can keep in touch. Domaine Serene was pouring their plush 2006 Evenstad. I've heard good things about Domaine Serene and this was my first chance to try it. I wasn't disappointed - very round and satisfying. No green notes. I like their labels too. The 06 Evenstad retails for $58. Cochon 555 is a pork-focused event that offers something for almost everyone. Beer, wine, oysters, cheese, and even some vegetarian options. 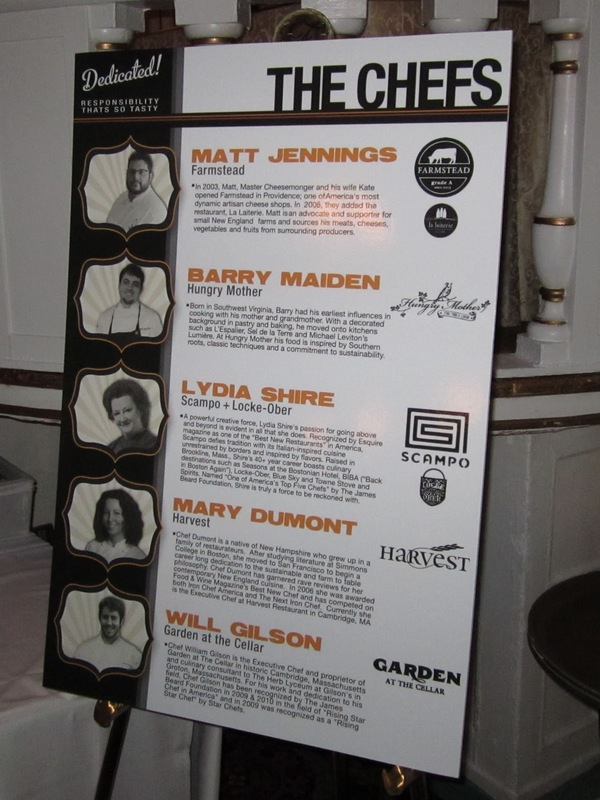 As a wine enthusiast, especially one who enjoys domestic Pinot Noir, this event was very enjoyable. I attended the event on a press pass. 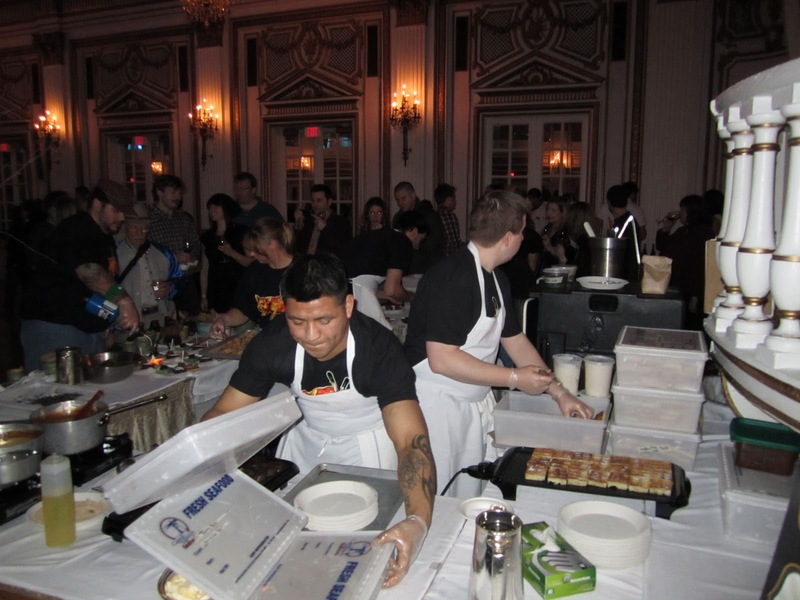 Question of the Day: Have you been to Cochon555? If so what did you think?